The Nun, the spinoff horror film from The Conjuring 2, that terror loving fans were so anxiously waiting for finally released on September 7, 2018. The film was already getting tons of praise before its showing due to the fact that the trailer left many fanatics of The Conjuring franchise wanting more. The film was written by the widely known Gary Dauberman, who is also responsible for the screenwriting of popular horror films such as Annabelle and It. Although the film had many mixed reviews, it was one of the top Conjuring sequel movies to hit box office and has earned about $228 million dollars all around the world. There were many thoughts shared by critics as well as fans about the movie that left them feeling unsure about whether or not it was worth the watch. The movie was admired for its amazing character roles and frightening visual effects but many believed it was boring, didn’t have a strong enough storyline, and had a bit too many jump scares that didn’t do too much to the plot. The movie takes place in Romania, 1952 and starts off with two nuns entering a dark cave in hopes of finding an item they’ve so desperately been searching for. One of the nuns gets murdered by an evil unknown being and after, the remaining nun, commits suicide by hanging herself in a small convent. A young novitiate, Irene and a priest, Burke are then sent to the scene by the Vatican to investigate and come to a conclusion about what it is going on in the evil filled space. The two go through a series of different life-threatening events during their investigation at the convent. 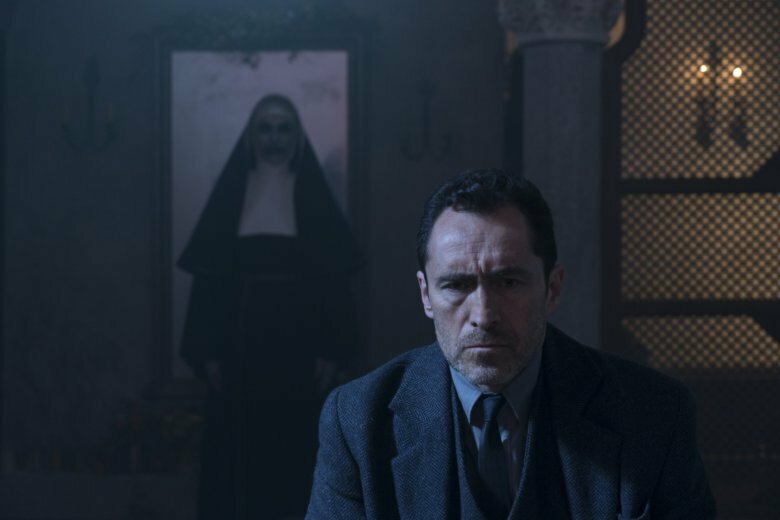 During the film, they discover many insane secrets about what’s truly going on in the convent and must do everything possible to make sure that the evil force known as Vadak is stopped forever. Their main goal towards the end is to keep it from creating any more damage than it already has. The ending will leave you gasping as you try to follow along with the insane, violent adventure they must go through. Although the movie might have gotten many negative reviews, you must give credit for its firm aspects. Overall, it was still a decent continuation of The Conjuring franchise that is sure to frighten many with its amazing acting and surprising terror we certainly weren’t expecting during some moments of the film. If your main focus when watching movies is that there’s a satisfactory and understandable plot, this movie won’t really catch much of your attention. If you’re in for a good scare every now and then and just love anything having to with horror in general, go ahead and give it a chance!